Looking to rent a charter bus in Chattanooga for your school, church, or business? 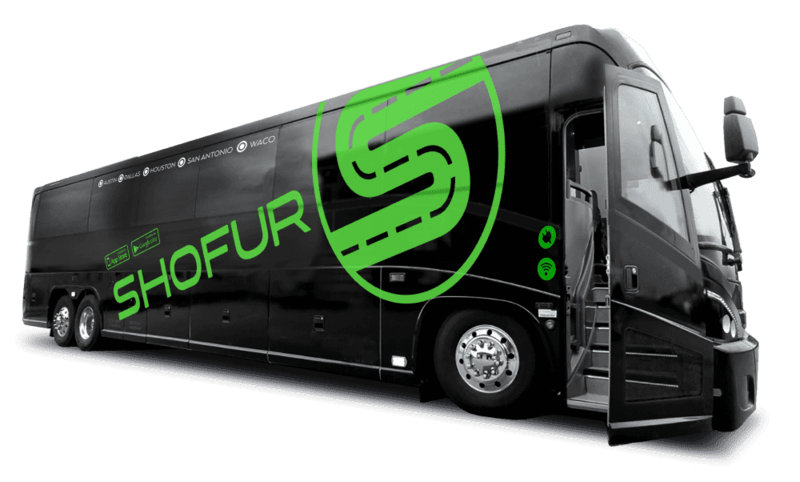 Shofur links you to the most charter buses in Chattanooga, TN. With such an array of buses to choose from, our reservation agents will get you whatever you require. Buses range in size from 18 passengers to 56 passenger motor coaches. Please give us a call at your convenience. The Tennessee Aquarium should be at the top of your list. It's rated as the best aquarium in the states for overall satisfaction. It's made up of two buildings: IMAX 3D Theatre and River Gorge Explorer. With its new laser projection system, the IMAX can provide its visitors with clear and vivid digital images you've ever seen. The River Gorge Explorer is a high-tech vessel that takes you from the Chattanooga Pier into the beautiful Tennessee River Gorge, also known as Tennessee's Grand Canyon. The two hour excursion is brought to life with a guide who will share the local history as you spot different wildlife on land and in the water. It's a very relaxing tour and you'll see amazing views from the observation deck. Lookout Mountain is also a favorite tourist spot. If you don't mind a little bit of a climb, the view from the top is extraordinarily gorgeous. It's just a few minutes from the city, but you'll feel miles away as you drive up the curving road to see the amazing vistas. There are three highly rated attractions there: Rock City's natural wonders and See Seven States views, Ruby Falls, and the Incline Railway. Rock City is actually 1700 feet above sea level with an impressive 100-ft. waterfall and the famous Swing-A-Long bridge. Make room for lunch at Café 7, located on the terrace of Lover's Leap. Ruby Falls has been named one of the Ten Most Incredible Cave Waterfalls on Earth and is America's largest underground waterfall. It's always 59 degrees inside the caves with their unique rock formations. The Incline Railway is the world's steepest passenger railway and thrills visitors with its one mile trek. The trolley-style railcars begin its journey at St. Elmo's Station and ends at Point Park at the mountain's summit. It's quite a ride! If you love trains, then the Tennessee Valley River Museum should also be on your list. It's a moving museum and is the only full-sized train ride in Tennessee. Hop aboard as you pass through Hiwassee River gorge making a 50 mile loop that takes about three and one-half hours. It's a fun experience for the entire family and you can choose which train you'd like to ride. Visit the Creative Discovery Museum where your children will love their hands-on experiences. There is a wide selection of education programs offered for all ages, such as: RiverPlay, Arts Alley, Rooftop Fun Factory, and the Lookout Tower. The PlayGym age ranges from four months through three years. There are also Spring and Summer camps for week long variety themes in arts and sciences, providing an excellent learning opportunity for all age levels. With over 200,000 visitors annually, it's a very busy place. It's recognized as a vital educational resource that reaches out to over 40 community partners. Don't think Shofur actually owns charter buses. But they did get is a good price on a bus. No other bus company had availability. Shofur was the only one that could get any buses for our High School football game. What would it cost to go from Chattanooga TN to Nashville TN for 5 days? ? A bus from Chattanooga, TN to Nashville, TN for 5 days starts at $6,000. However pricing may change dependent on the number of passengers and availability. How do I know which charter bus I am getting? ? We have a variety of buses. We can definitely assist you in finding the best bus that accommodates the amount of passengers you may have. Is there a price difference between 40 passenger charter buses on 50 passenger charter buses. Interested in going from Chattanooga TN to Texas. What would the price cost? ? There is no price difference between the 40 & 50 passenger. This trip would cost you at around $9,873.60 keep in mind pricing is subject to change depending on availability and time frame. Price from Chattanooga,tn to ft. Lauderdale, fl for a cruise for 25 people ? This would cost at least $5,500. However, pricing would depend on the dates of departure and return. Please call us 24/7 to get a quote.